In the summer of huge coaching moves, Cindy Bristow, co-founder of Softball Excellence, will become the Pitching Coach for the University of California – Riverside, starting October 5th. “Family was an import factor in my decision to make this change. Riverside is my hometown, my Mom is 90 and this position gives me an incredible opportunity to return to the college game and spend some quality time with my Mom,” said Bristow. While Cindy will be living and working in Riverside, California, she’ll still continue her work with Softball Excellence. Softball Excellence isn’t going anywhere. 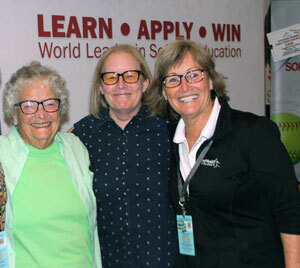 Our Softball Excellence team, including Cindy, will still be delivering the same high quality educational products that we always have including the College Pitching & Hitting Summits! 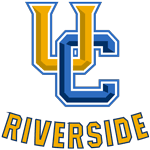 Added Bristow: “I am very excited and honored to join the UC Riverside softball staff. I would like to thank head coach Nikki Palmer for her faith and confidence in giving me this opportunity and allowing me to continue my work with Softball Excellence. I’m looking forward to getting back into college coaching, in my home town, surrounded by family. It’s a new chapter in my life that will only make me better and I’m excited to get started”. That’s awesome Cindy. Wondered when you might do something like this. Fantastic! Lucky young women! Congrats on the decision and good luck! You are simply Wonder Woman. You have always been brilliantly poised to contribute to and make a difference in softball. You are my shero. Holy smokes the collegiate game just got a whole lot better!! UC Riverside you are getting our sports best in Cindy Bristow. Shout out to Robin who will continue all her great work along side of Cindy at Softball Excellence! I am most excited for Mama Bristow—nothing better than having family close to home. Cindy have a blast with Mom and enjoy your time at the park! Thank you Sara – I appreciate it! Ahh Dar – thanks a ton! That means a lot coming from you! It’s never too late to help others, and I’m looking forward to this challenge! Thanks so much Sue!! You know how this goes, and its so important to spend the time while you still can! Looking forward to the challenge and to helping UCR continue to rise! This is simply great !